Pictures by John S. Quarterman for Okra Paradise Farms, Lowndes County, Georgia, 24 August 2012. Picture by John S. Quarterman for Okra Paradise Farms, Lowndes County, Georgia, 19 July 2012. 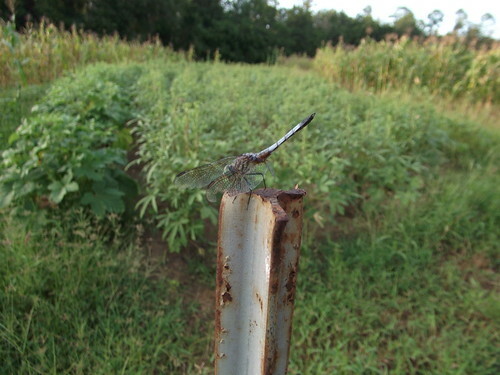 I've seen on the okra blooms honeybees, bumblebees, and several kinds of wasps, all pollinating and making more okra. Pictures by John S. Quarterman for Okra Paradise Farms, Lowndes County, Georgia, 3 July 2012. Is corporate profit worth wiping out honeybees? 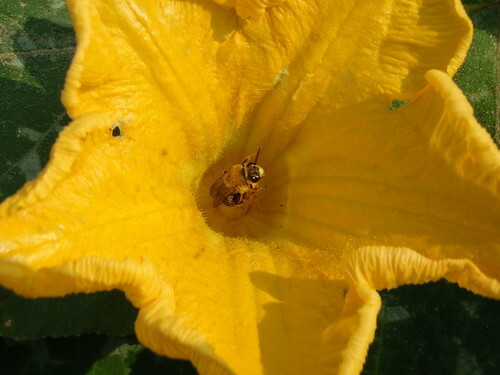 Analyses of bees found dead in and around hives from several apiaries over two years in Indiana showed the presence of neonicotinoid insecticides, which are commonly used to coat corn and soybean seeds before planting. The research showed that those insecticides were present at high concentrations in waste talc that is exhausted from farm machinery during planting. The insecticides clothianidin and thiamethoxam were also consistently found at low levels in soil — up to two years after treated seed was planted — on nearby dandelion flowers and in corn pollen gathered by the bees, according to the findings released in the journal PLoS One this month. "We know that these insecticides are highly toxic to bees; we found them in each sample of dead and dying bees," said Christian Krupke, associate professor of entomology and a co-author of the findings. The authors are careful to say they don't claim to have found the only cause of honeybee deaths, because they can't prove that. 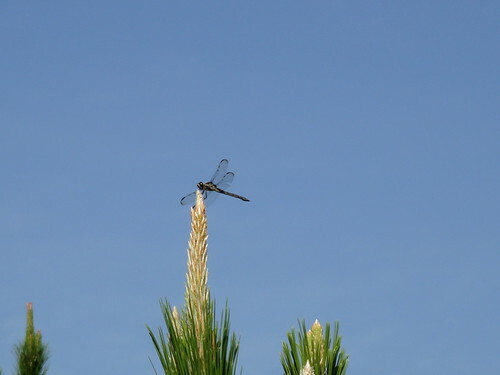 They do seem to have proved specific insecticides are one cause. 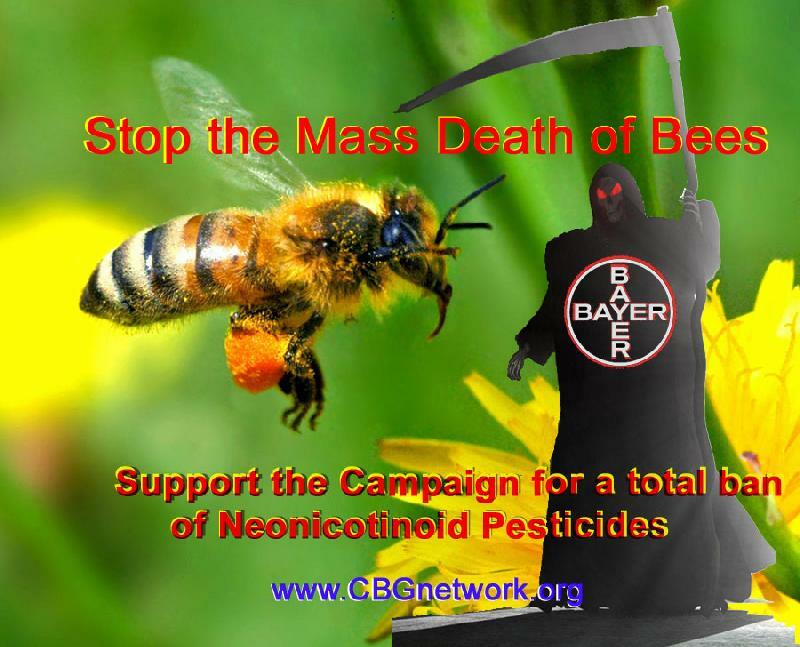 Is wiping out honebees worth the profits of a very few large agrobusinesses that sell these poisons? Who sells this stuff, anyway? Bayer, Arysta, and Valent sell clothianidin, and Syngenta (SYT) sells thiamethoxam. What's Syngenta's excuse? How do we feed a growing world population? Who keeps an eye on the okra patch while Gretchen's selling okra at Downton Valdosta Farm Days? Lowndes County, Georgia, 28 July 2011. Skeeterhawk, that's who! Eat them skeeters, skeeterhawk!